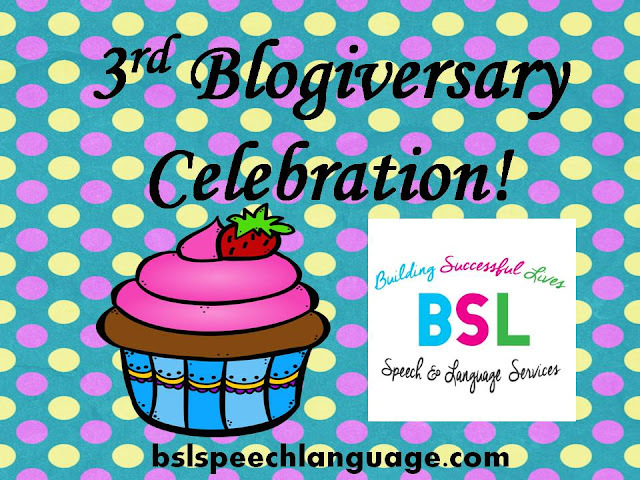 Building Successful Lives- Speech & Language Services: Building Successful Lives Blog Celebration Raffle! Building Successful Lives Blog Celebration Raffle! I am excited to tell you about my Building Successful Lives Blog Celebration Raffle. In honor of my 3rd Blogiversary, I will give away 3 products from my TPT store: Tamara Anderson plus an extra one in anticipation of a great year! You will also have a chance to enter to win 12 other products generously donated from other SLPs. Many of them are also bloggers and they all sell their awesome products via Teachers Pay Teachers. I am honored that they are joining in on this celebration! I created 6 bundles and 6 lucky winners will receive FREE products in celebration of my 3rd year. You have a chance to win a variety of articulation, speech fluency, receptive/expressive language, grammar, and social skills resources. 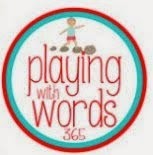 They include informal assessments, games, no prep printables, and fun speech language therapy materials! The raffle starts late tonight and will last until Sunday! Make sure that you tell other speech-language pathologists about my celebration. 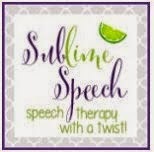 I blog and make products to share my ideas and resources that I use in speech-language therapy with all of you! I hope that you find the information beneficial! Thanks again for your support of Building Successful Lives (BSL) Speech & Language. Thanks to all the SLPs who sponsored this raffle! Here is a preview of the prizes! Thank you so much for this great post ..